In 5-quart Dutch oven, heat oil over medium-high heat. 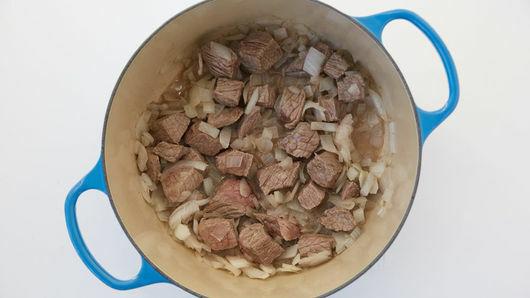 Cook beef and onion in oil 8 to 10 minutes, stirring occasionally, until beef is browned. Stir in remaining ingredients. Heat to boiling; reduce heat. Cover; simmer 45 minutes. 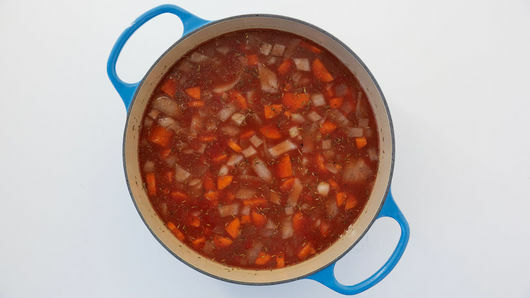 Uncover; simmer 30 to 45 minutes or until beef is tender. You can stir in fresh baby spinach the last 10 minutes of cook time. Or add cooked pasta, such as macaroni or rotini. 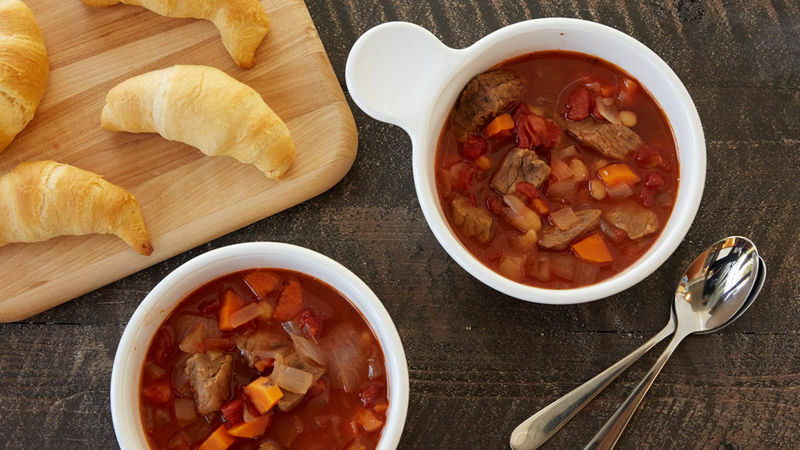 Try adding additional ingredients to flavor the soup, such as crushed red pepper flakes, chopped fresh Italian (flat-leaf) parsley or chopped fresh basil leaves, or serve with grated Parmesan cheese.